When it comes to bedrooms and bedtime, for me, everything has to be right. King sized bed, firm mattress, black out blinds/curtains, lightweight down duvet, cotton bedding, ear plugs, a sleeping partner that doesn’t move or breathe too loud…. i’m not even joking. I have been known to request a new hotel room in the wee hours because I couldn’t sleep. Room too loud, room too bright, room too hot, mattress too bouncy. I’m what you could refer to as a “fussy sleeper”. Or maybe just fussy in general. Whatever. I spent more time choosing our current bedroom mattress than I did shopping for my wedding dress. And I should bloody think so too. I got eight hours out of that dress. That’s it. Where as i’ll spend about eight hours a day or a third of my life attached to a mattress. It makes sense to invest in a good one. Even Mr Maslow* recognised the need for good sleep in order for us lot to function. *If you don’t know who Maslow is… google it. As we were doing our loft bedroom and working out the budget, what we needed to spend and on what, “mattress” popped up on the spreadsheet. A-ha. Yes, a mattress of course. Ok, so what does it need to be? EU King Size (160 x 200cm) because all of our current bedding is that size. Nice and easy. It’s a guest room, so it needs to be a mattress that can adapt to different people and different sleepers; back, side, tummy sleeper, people who like a firm or soft mattress…. Hmmm…. mmmmm…. ponder ponder…. think think…. A Leesa mattress ticks all of the boxes! Comes in all sizes UK and EU, not many places offer that anymore. Adapts to the needs of each sleeper. Can be ordered online for delivery in a staircase-climbing friendly sized box. I know. How do they get it in a box? So that was that. Decision made. Order placed online, 7 days later it arrived. Boom. All we needed to do now was get it upstairs and release the beast! Later that day, the mattress was ready for its first sleepover. With my folks taking our bedroom on the first floor, it was the first time we got to sleep in our new loft space. Man, we were so excited. And as promised, the mattress was indeed ready for two sleepers just a few hours after we’d unboxed it. The Leesa Mattress has all the benefits of a memory foam mattress without the well known overheating problem or that sinking feeling you often get from a foam mattress. The three layers consist of a 15 cm core support, 5cm contouring foam and a 5cm cooling Avena™ foam which is similar to latex, but latex free, so suitable for people with latex allergies. The cover is a super soft, breathable, stretch jersey fabric. No buttons. I have no idea why those buttons are sewn into mattresses, they’re the most uncomfortable thing to sleep on. Whose idea was that? Our first night on the Leesa was, at first a little strange. But I think it’s fair to say that’s normal for any new mattress. Don’t get me wrong, it’s very comfortable indeed, but different to a sprung mattress. I think the term used to refer to the difference in feel is “push back”. The Leesa is firm and supportive, and certainly didn’t get me all hot and bothered. I would say it takes a few days to get used to any new mattress, especially if you’re moving from a Sprung to a Foam one. So what if you order your Leesa and it’s not quite right for you? Well Leesa knows it takes a few days to get used to a new mattress, so they give you 100 nights to “sleep on it” (see what I did there?) If you decide it’s not quite right for you, you can return it for a full refund. Simple. What happens to the mattress then? Any mattresses returned within the 100 day period are donated to a local charity, or if one can’t be found, recycled. Leesa’s One–Ten programme donates one mattress for every ten sold and they’ve just announced they’ll donate a minimum of 300 mattresses over the coming year to support homeless shelters in the city of London. If that wasn’t enough, they’ve launched their One Earth programme, which plants a tree for every mattress sold, to help offset their carbon footprint. 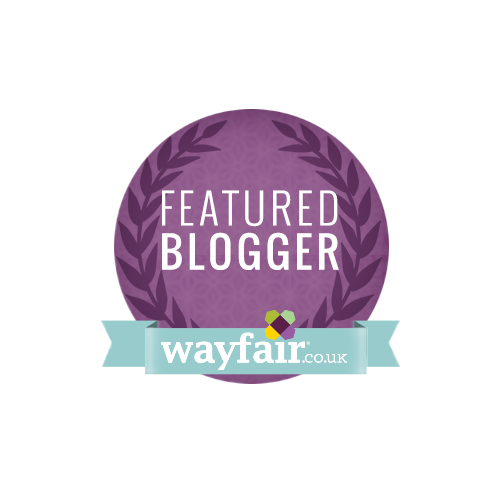 You can read all about how Leesa are giving back right here. And they’d stayed in a lovely fancy pants spa hotel up in North Yorkshire too. Our bed was better. Yes. In fact, the mattress was so comfortable, our guests were completely anti-social on New Year’s day, spending most of the afternoon lying in their guest bed reading books. Pfft. So there you have it. Happy homeowners, happy guests. Everybody happy. How often do you get to say that? 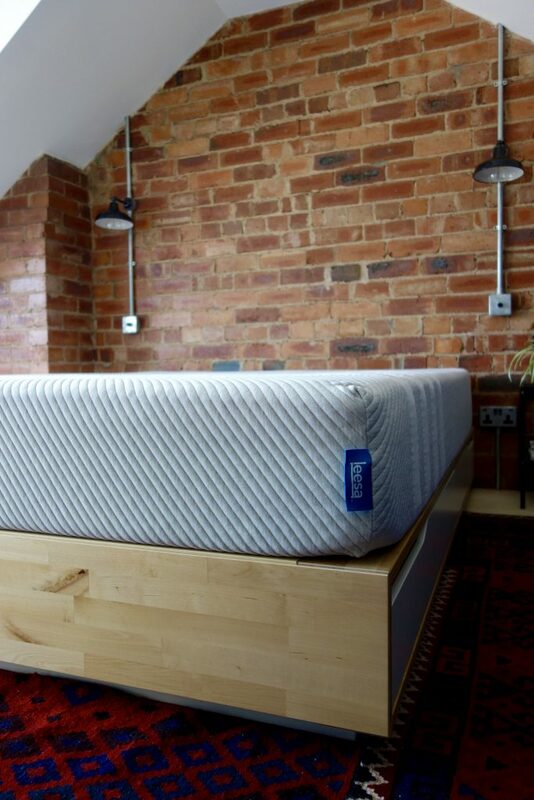 If you’re looking to update your own mattress this year, jump over to Leesa as they’ve got £80 off all mattresses at the moment. Definitely worth checking out! **Update Nov, 2018 – We LOVE this mattress. We both sleep so well in this room, so much so, we often treat ourselves to a night in the loft bedroom. I’d highly recommend the Leesa, for sho mo fo. Collaborative post – I was very kindly gifted our Leesa mattress for review purposes. All opinions and words are my own. 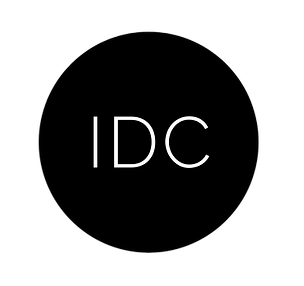 I only ever work with brands I like and think you will like too. They’re a great idea. Takes all the faff out of buying a mattress! I’m a convert to foam too. Sprung seem rather odd to sleep on now. I love love love your lights! We bought three of these for the kids and I’ve slept on them when OH is snoring, fab mattresses! Ha. Good aren’t they. And thanks, glad you like the lights Alex! 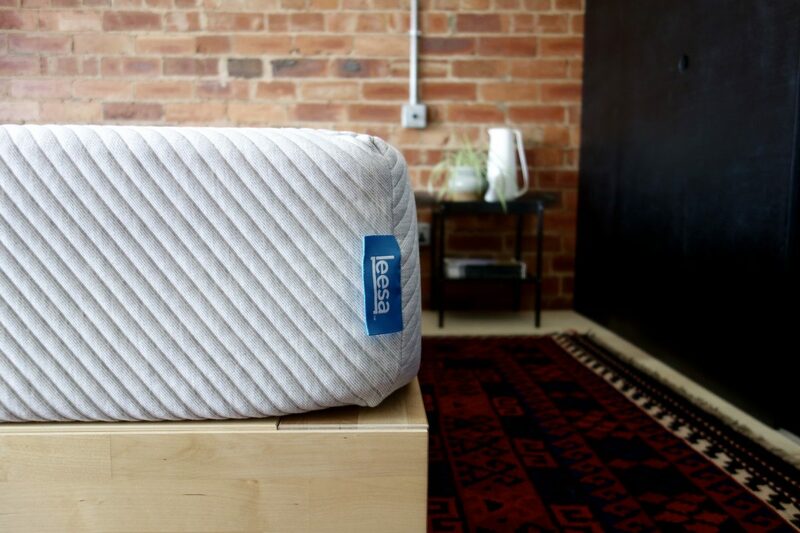 I’ve heard so many good reviews about Leesa, everyone seems to love these mattresses. And you’re totally right, this is a decision you should spend some serious time on. Sleep is just so important.